The sixth edition was published in June 2011. Click here further details and ordering information. 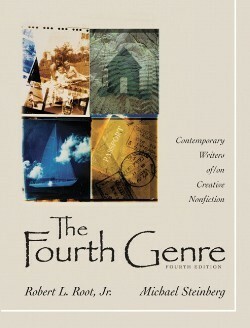 The Fourth Genre is the first teaching anthology to draw on the common ground both of the practicing writer and the practical scholar. It offers the most thorough, comprehensive, and teachable introduction to the cutting-edge and still evolving genre widely known as “creative nonfiction”. 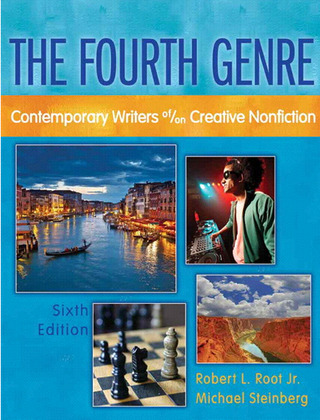 While focusing on the genre’s varying shapes and forms, it also highlights creative nonfiction’s literary qualities, as well as the singularities that identify it as an integral part of the literary spectrum that includes poetry, fiction, and drama. In an effort to bridge the gap between the teaching of composition, creative writing, and literature in English departments, The Fourth Genre points out the pedagogical connections between creative writing practice and composition theory. The selections represent the full range of contemporary creative nonfiction: personal narrative, essay, memoir, literary journalism, and personal cultural criticism. Authors anthologized in Part 1 cover the complete spectrum of contemporary nonfiction. They include prominent writers, such as Mary Clearman Blew, Patricia Hampl, Phillip Lopate, John McPhee,and Scott Russell Sanders, as well as an impressive array of emerging writers, such as Jo Ann Beard, Eula Biss, Steven Church, Meghan Daum, Ander Monson, and Michello Morano. The essays about nonfiction forms, genre issues, and writing strategies in Part 2, mostly written by authors whose work appears in Part 1, give readers an inside view of the writers' creative processes and, at the same time, substantiate the academic study of nonfiction as a literary genre. Part 3 consists of essays and memoirs paired with companion pieces in which the authors explain the methods, processes. and strategies by which the works were created. Two alternative tables of contents organize the readings by sub genres and approaches to writing. Over seventy readings represent the full range of creative nonfiction subgenres--personal narrative, essay, memoir, literary journalism, and personal cultural criticism–and showcase a full range of writerly techniques, such as linear and nonlinear presentation, associative strategies, collage, mosaic, montage, jump cuts, braiding, segmenting, and non-sequential connections.Part 2 features essays that explicitly address genre issues, nonfiction forms, and writing strategies; these are mostly written by authors whose work appears in Part 1. Students witness an inside view of writers' creative processes and, at the same time, participate in the academic study of nonfiction as a literary genre. Unique Part 3 pairs works of creative nonfiction with companion pieces in which their authors explain the processes, methods, and strategies they used to write and revise the paired works. Two alternative tables of contents organize the readings by sub genres and thematic approaches to writing. New To This Edition. Twenty-four new readings introduce new forms such as the visual essay, video essay, graphic memoir, digital essay, and blog, expanding the range of contemporary genres offered in the text. The revised introduction overviews changes in the genre, including its adaptation of new media, to contextualize new readings in the anthology. New selections in Part 3 pair texts by emerging writers with the writers’ commentary on the works, highlighting contemporary composing processes. New topics include the Gulf oil spill, the “slow book” movement, the Virginia Tech shooting, role-playing games, and more, ensuring the content is as fresh and engaging as the forms. This writing guide for students of composition emphasizes the ways writers work. 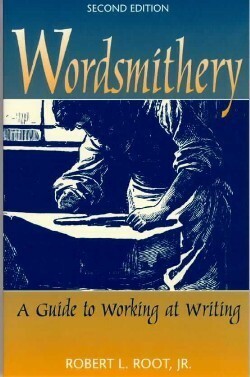 The chapters are organized around the elements of Wordsmithery and guide writers through the composing process with plentiful examples of student (and author) writing. First published in 1994 by Macmillan, the second edition was published in 1998 by Allyn & Bacon. 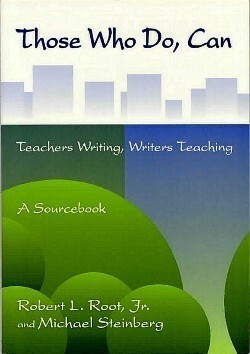 Based on the Traverse Bay Summer Workshops for Teachers, this book collects ideas and strategies for teaching poetry, nonfiction, and fiction, describes the workshops writers English language arts teachers participated in as writers, and publishes the writing, journals, and log entries of the teachers as they went through the workshops. Donald Murray wrote, “The book instructs and inspires as it reveals writers teaching and being taught. . . . Root and Steinberg will be on the shelf near my desk that holds the most important books about the teaching of writing.” And Tom Romano wrote, “The ideas shared here can be used in classrooms tomorrow and in the lives of teachers forever.” Published by the National Council of Teachers of English and the National Writing Project.